zipping-programMost users who already have some experience with informatics know what this is about and what file compressors are good for. However, there are still a lot of people who are just getting started in introducing themselves in the world of informatics and they do not know what the terms decompress, compressed file, decompress or file compressor mean; this is why it is better to get a little explanation before referring to any compressor in particular. A file compressor is a program that allows the users to reduce the size of their files; this is done through some programming rules or, also, according to a series of algorithms that produce a size reduction without producing a loss of information. These programs, besides from compressing files, can also decompress the file that was compressed, meaning that they are able of returning it to its original size. But, if the size is reduced, why not letting the file compressed? The problem resides in the fact that, when compressing the file, its structure changes and so does its format and, by doing that, it can only be recognized by the same compressor. For example, if you have a Microsoft Word text file and you compress it, it will lose its Word extension and use the compressorâ€™s, so it will not be recognized by Word until you decompress it. To be more precise, you are always going to be able to recognize the extension by the name you see after the period (My-file.exe); the usual types of extensions are the following: IMG, ISO, JAR, LHA, LIB, LZH, MDF, MBF, MIM, NRG, PAK, PDI, PK3, RPM, TAR, TAZ, TBZ, TGZ, TZ, UUE, WAR, XXE, YZ1, Z, ZOO, 7-ZIP, A, ACE, ARC, ARJ, B64, BH, BIN, BZ2, BZA, C2D, CAB, CDI, CPIO, DEB, ENC, GCA, GZ, GZA and HA. After this explanation we are already apt to be able to use any compressor. The options are among a wide range of software, from the powerful WinZip up the simple 7 â€“ Zip. All of them have a different characteristic to offer us, but, according to peopleâ€™s preferences, some compressors that are considered the best one have been chosen. The first of them is the 7 â€“ Zip (Windows, Linux): This compressor is very powerful. 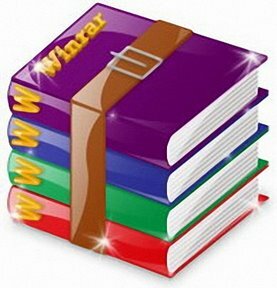 It is compatible with formats such as Zip, Rar, and many other more extension. It is not too heavy and it uses OpenSource, which means that its source code is open to everyone. This software possesses a very intuitive interface and it is recommendable for people who are just beginning to work with these tools. It can be downloaded from this web from this it also counts with a portable version.